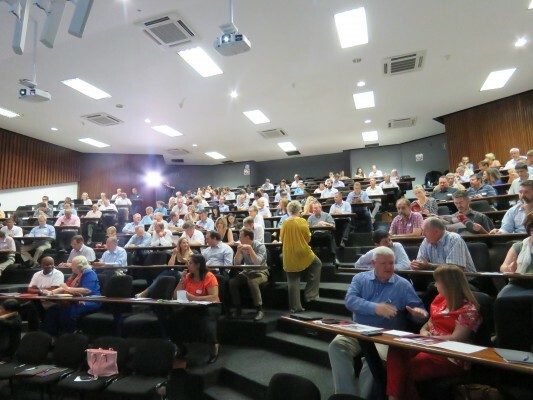 In his previous designation as director of the Institute for Futures Research (IFR) at the University of Stellenbosch Business School (USB) prof André Roux were cautious about making predictions about the future. 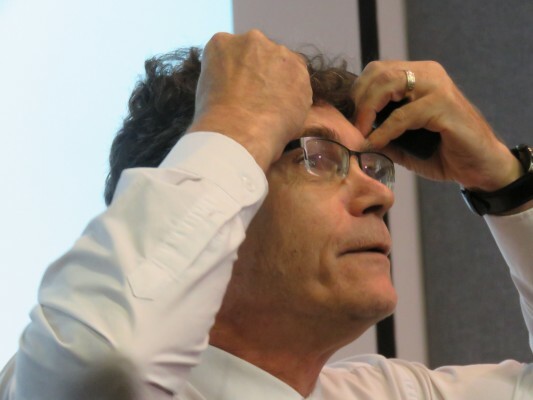 In his continuing role as Economics Professor at the USB the highly regarded author of Everyone’s Guide to the South African Economy, also attempts to leave his students and audiences with some good news. The fundamental basic argument he put forward about South Africa’s economic outlook in 2016 was that the country would have to deal with lots of negative external factors. Added to that was the question of how the country was going to deal with some of its poorly handled internal factors. This combination translates into short-term policy stress for the broader economy and for households, he warned. What has gone wrong? After all, South Africa survived the 2008/09 global financial crisis. Roux explains that back then former Finance Minister Trevor Manuel brought the deficit down and Government debt was low, the state could therefore respond quickly and Government could incur more debt. Today, the country does not have all that room; the space for policy manoeuvring has been severely limited. “The nation is living beyond its means,” states Roux. Saying this, the finger is pointing at Government and households: both are heavily indebted, which makes the country even more heavily reliant on foreign sources of savings. This, in turn, will lead to consumers attempting to draw down their debt which will result in sluggish consumer expenditure growth. · Do we have the ability to compete in a crisis-prone global economy? · Will we be able to generate sufficient appropriate skills? · Will we be able to exploit the demographic dividend? In 2014, the figure was 65%, which translates into 1.8 working adults for every young and old dependent compared to a projected figure in the year 2045 of 68%, which means 2.1 working adults for every young and old dependent. 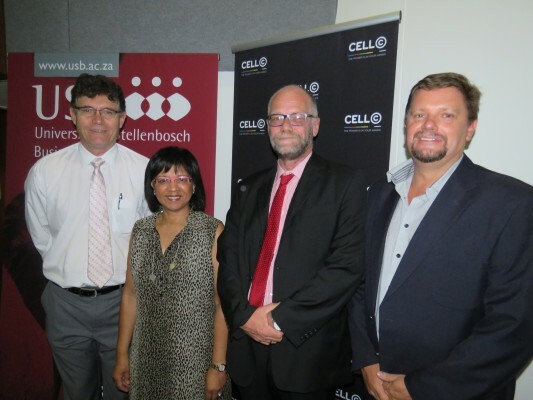 Roux’s views link well with that of his colleague, USB Director Prof Piet Naudé, who spoke about the South African education system. In his presentation, Naudé suggested seven recommendations to fix the South African education system. Foremost among these were his recommendation for a “two stream” high school system. This would entail changing the current system to steer students in two streams from grade eight: one stream focussing strongly on academics; the other stream focussing on skills training in vocation, agriculture, nursing, for example. Arguing that only between 15% and 17% of learners pass matric with university exemption, Naudé pointed out that it would be best to allow only the really academically gifted learners to progress to university. The rest should be accommodated in the “vocational” stream, but in accordance with the needs of the country’s economy. 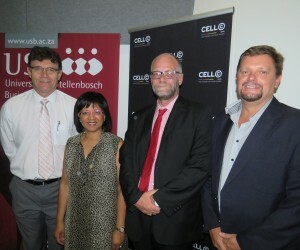 That would mean that the majority of learners would be steered in the direction of skills training. A further recommendation requires an equally drastic change in the post-school education system. This entails decreasing the number of universities in the country, currently standing at 25, and increasing the 50 so-called FET colleges, or further education and training colleges, to at least 200. That is not to say that FET students cannot ultimately end up at university, but it would be as part of what Naudé refers to as “a lifelong learning route which would take them to an FET college, attending bridging courses, moving to first year studies at university---and eventually ending up with a PhD degree”. This takes us to another of his recommendations, namely calling on Government to invest more money in research and development (R&D), the one area where South Africa, according to Naudé, is significantly well-positioned to become world leaders and achieve global recognition. However, the spending on R&D has decreased to less than 1% of the gross national product, compared to international spending of at least 2,5%. Opportunities abound in areas such as nanotechnology, astronomy, indigenous knowledge systems, biotechnology and sustainable energy, said Naudé. He has no doubt---despite the state of the economy---that there won’t be any budget constraints to invest in his seven recommendations to fix the education system. This will, conversely, benefit the country in ensuring that South Africa’s workforce acquire the necessary skills to assist in growing the economy and exploiting the “demographic window of opportunity” that Roux refers to. 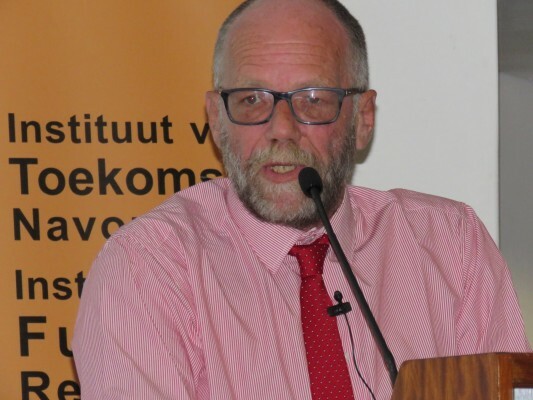 Regrettably, Naudé does not believe that “sustainable energy” exist within Government to do the right thing; even if money is no issue, he told the audience, the leadership and political will are lacking.